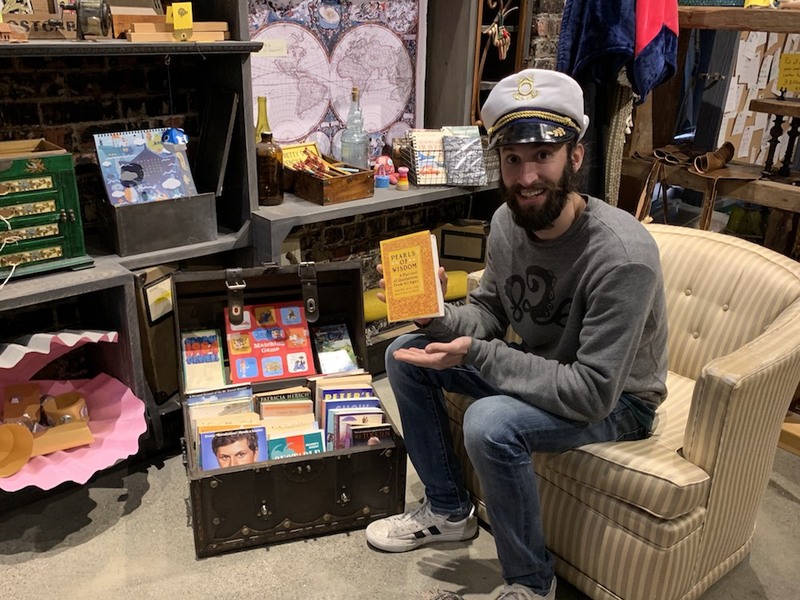 Our resident pufferfish and store curator, King Carl, has resolved to read more in the new year. And to help him with his resolution, we’re expanding the book section of our Tenderloin store, so he can have more options to choose from. But we can’t do it alone! Donate your favorite books by dropping them off at either one of our stores and help us stock King Carl’s Book Cove. We’re also offering a 20% discount on your next purchase when you donate. To donate, just drop off your books during our store hours at either King Carl’s Emporium (open Monday to Friday from 11:00 a.m. to 5:00 p.m.) or the Pirate Supply Store (open 12:00 to 6:00 p.m. daily.) We are looking for creative works, not textbooks. Any fiction or nonfiction is welcome, but we would be especially grateful for books about the Bay Area, travel, social justice, San Francisco (even better if about the Tenderloin), young adult, and children’s books. It’s a great opportunity to make room on your bookshelves to new titles and do some good by helping Tenderloin residents have more access to books. Join us in creating a literary hub for our community.